Summer’s here and it’s time to meet the new cocktails at Border Grill. You can say goodbye to the Winter ones and maybe they’ll make their way back in a few month. 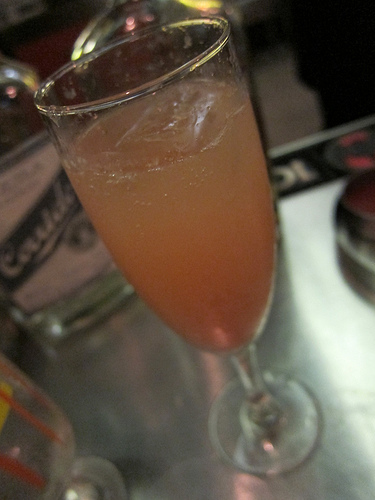 The bubbly girl at the party is Cava Guava (Cava, tequila blanco, guava, lemon). She’s the one you want to meet first before you say hello to anyone else. 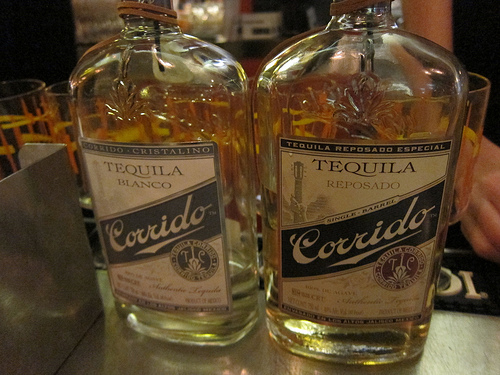 She’s got a bit of a Latin flair to her as she’s like the Chilean cocktail Cazuela en Champagne but when you add tequila, you know you’re in for a good time. Ready to meet another pretty girl? You may be too young to remember but there was this fantastic TV show called Gilligan’s Island. Many little girls– and some little boys have thought a lot about Mary Ann and Ginger. Ginger Summers is the best of both; spicy and completely comfortable playing her role as the girl next door. 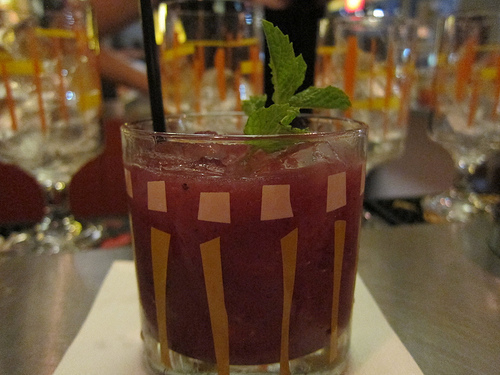 The margarita is with tequila reposado, orange liqueur, ginger and blueberry. And who is that guy looking dapper in the corner? He’s hanging out showing off his Christmas look in the summer. He reminds you of your college trip to South America where you saw flora and fauna like you’ve never seen before. 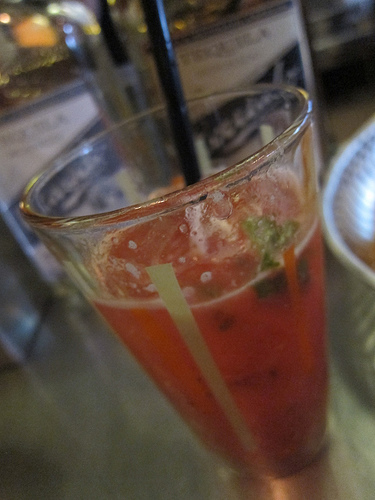 The giant hoja santa leaf is incorporated with cachaca, raspberry, orange and lemon for this drink. 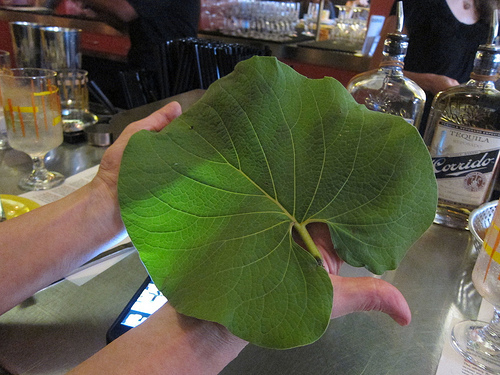 Hoja santa taste a bit like root beer and anise. The red and green. Christmas! Santa! Summer Santa likes being noticed at this cocktail hour. If Summer Santa can be the older, interesting guy at the party then Fire/Water/Melon is the shaman whose wisdom you seek. 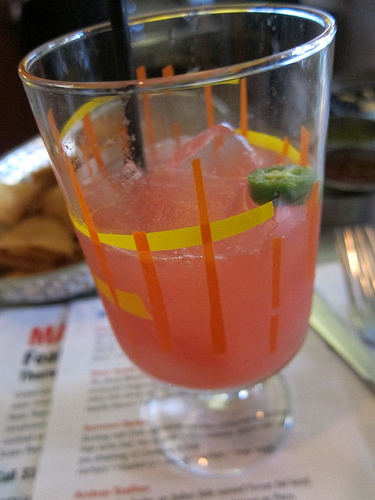 The pisco, watermelon, lemon and serrano chile was the favorite of the party. Oh, and who just crashed the party? 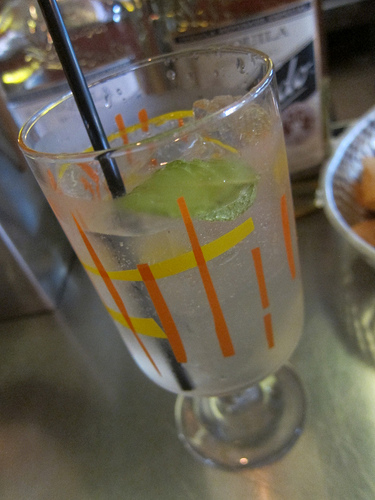 The Silver Surfer rolled in with his suave tequila blanco, celery mint shrub and sparkling water. 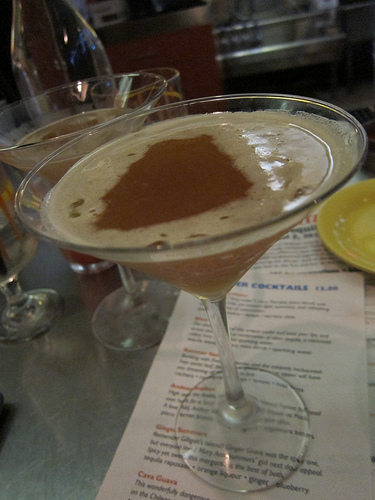 After mixing with Fire, you want to cool your night down with the Silver Surfer. But the man of my dreams just walked in. I met Andean Stallion thinking he was going to show me the world but he said he’ll show me South America and then Italy first. With pisco, Fernet Branca, lime, agave and Angostura bitters, I’m in love. Welcome to all the cocktails, they’re ready to party. This entry was posted in alcohol education, bar stories, cocktails, history, la cocktails, spirits, the minty and tagged bg, border grill, cocktailian, dtla, new cocktails, summer cocktails, the minty. Bookmark the permalink. looks like heaven in a glass!